Mark Twain Elementary School staff work in partnership with families and community to provide all students with a foundation for life-long learning. 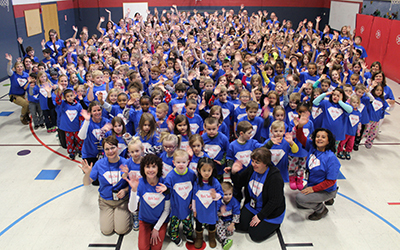 Mark Twain Elementary is a two-section school serving approximately 312 preschool through 5th grade students. Our elementary curriculum emphasizes literacy, communication, reasoning, and problem solving. Other subjects, including physical education, health, art, and music, are taught to all students K-5. Orchestra is available to students as early as grade 4 and, band as early as grade 5. The school offers a program dedicated to teaching a defined core of knowledge and skills in reading, math and science.